It’s fair to say that the advent of social media was something of a game-changer for businesses when it came to their public relations. Rather than focus solely on one-way B2B or B2C communication, social media has opened up a two-way street between businesses and, well, everyone – and this has led to new challenges for businesses and communication professionals looking to successfully navigate this changed landscape. On the plus side, this new level of direct access to customers or wider society can help businesses more effectively promote themselves and stand out from their competitors. And a firm’s social media activity can also complement its more traditional PR activities through cross-promotion and sharing additional content. But with some 72% of people who complain on Twitter expecting a response within the hour, and a number of well-publicised faux pas by even the most established brands, it’s clear that businesses need to be prepared before stepping into the world of social media. As a business, you may well be wondering what kind of content you should be sharing. And how should the way you share this content differ from more traditional media channels? With these questions in mind, here’s a short guide to getting the most from your social media accounts, growing your audience, and ensuring direct engagement with your brand. Not all social media are created equal, and you’ll want to be using those platforms where you can best target your audience. Equally, it’s important to have specific goals in mind before diving right in: do you want to learn more about the needs and wants of your customers? Or are you trying to target new markets or promote a new service or product? With these questions in mind, you’ll need to identify those channels already being used by your intended audience. Generating engaging social media content is an art in itself, but you’ll want to make it as diverse as possible, perhaps mixing text with images and video, blog posts with testimonials, and freebies with content that gets your audience signing up and directly engaging with your service. You might be trying to target a new market, promote a new product, or drive your recruitment campaign. To what extent do I really need to use social? It can be as simple as adding your company announcements to your LinkedIn page, or you can go all out and hire a social media manager. The key here is knowing your audience’s expectations. What channels are my customers using? If your customers are all loving Instagram right now and spending most of their online social time scrolling through the explore page, your social presence is better off there than on LinkedIn. What channels are my competitors using? Consider your market and competitors - it’s not always the best to follow the crowd, but to acknowledge where others in your industry are seeing high levels of social engagement can prove valuable. What content do I have ready to use? If you have a full to the brim library of high quality images which capture your company well, use them! What new content am I going to need? Videos, blog posts and testimonials all go down well on social. If you need to build up your stock of content, start doing so. Once you set up your social media account, you’ll have to be consistent with your updates. For B2B businesses, social is often used differently to B2C companies. On top of this, different markets can make the most of social media in different ways. 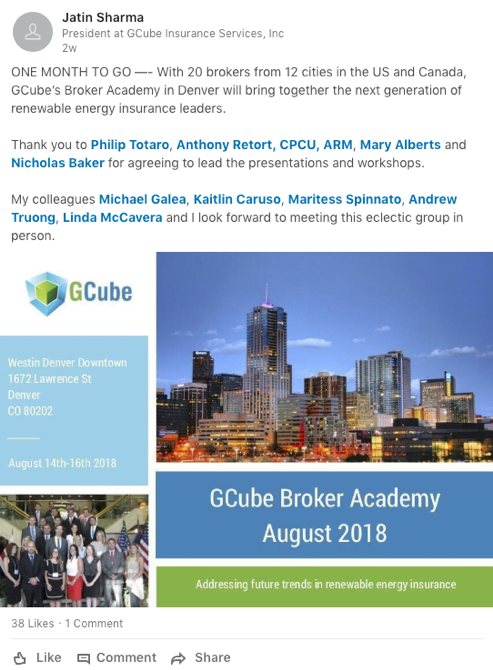 For example, a retail company promoting a number of products at the same time is likely to have a vastly different social media strategy to a renewable energy service provider with a high-value core offering using social to support their PR strategy. But bear in mind that what works on LinkedIn may not work on, say, Facebook. For instance, if you’re looking to attract entrepreneurs within your industry to sign up to your webinar or course, LinkedIn, with its business-focused user profile, may well be a more effective channel than Twitter. However, this depends on the answer to the question you’ll have already asked yourself: “What channels are my customers already using?”. On the other hand, Twitter is very much the modern public square, and the most effective platform if you want to quickly broadcast breaking news or an important announcement to as wide an audience as possible. For this reason, it is a favoured medium with journalists, and can give you the opportunity to quickly answer a question or rapidly provide a quote from your managing director. Perhaps not the best example, but the point is to be aware that your quick-fire tweets do reflect your company profile and should be in line with your thought-out PR efforts. Furthermore, keep in mind that the average lifespan of a tweet is roughly 18-25 minutes. Moz reports that 50% of your tweets’ overall retweets will occur in the first 18 minutes or less. While according to Wiselytics, a tweet reaches 75% of its potential engagement in less than 3 hours with half-life hitting the mark after about 24 minutes. After that, it can quickly become old news. There’s also a higher time investment required, as you’ll need to drive direct engagement by replying, retweeting, and liking tweets – all of which are essential if you’re to rise above the noise on what is an incredibly competitive platform. Engagement is key, but it impacts your performance on different social channels in different ways. On LinkedIn, you should be responding to comments and encouraging followers and connections to interact with your content, but this is unlikely to impact channel performance in the same way that it would for Twitter. Ultimately, testing out a number of different platforms is the best way to determine which is best for your business, and will allow you to most effectively engage with your audience. 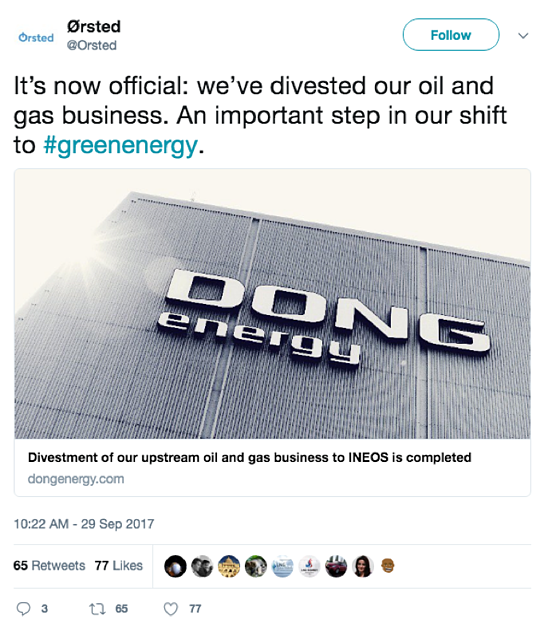 The announcement by Dong Energy (now Orsted) that is had divested its oil and gas business was widely shared on Twitter. Make a plan of what and when you’re going to post – and make sure you stick to it. Regardless of whether you’re starting from scratch or dusting off accounts that have lain dormant for quite some time, in the beginning it can be hard to increase engagement and followers. But by posting regularly and often, you should soon start to see a snowball effect in the level of interaction you receive. It will depend on which platforms you’re using and your goals. It is generally recommended that for optimal engagement, LinkedIn and Facebook only require around 1 post per day, whilst Twitter needs up to 15 tweets a day. 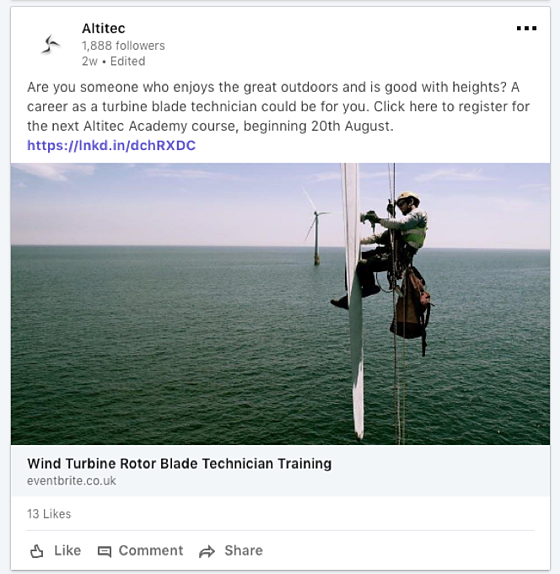 However, we’ve found that for renewable energy businesses, posting a couple of times a week on LinkedIn and Facebook will more than suffice, whereas for Twitter you’ll need multiple posts per day to truly build momentum. Consistency is just as important when it comes to messaging. Your social media should reflect the same messaging points that drive the rest of your public relations campaign, and stress the key selling points of your business. For example, whenever you send out a press release, make sure to share an accompanying post on social. To make social media for PR more personal, it is recommended that the senior executives of your company have a strong social media presence themselves. People like interacting with other people, so engaging with a social profile that belongs to a human rather than an organization could be more comfortable for your prospects and customers. Be sure to tailor the tone of your social media output. Social media can allow you to show off your less formal side and let the character of your business shine through. So, if in doubt, best play safe – or you risk going viral for all the wrong reasons. 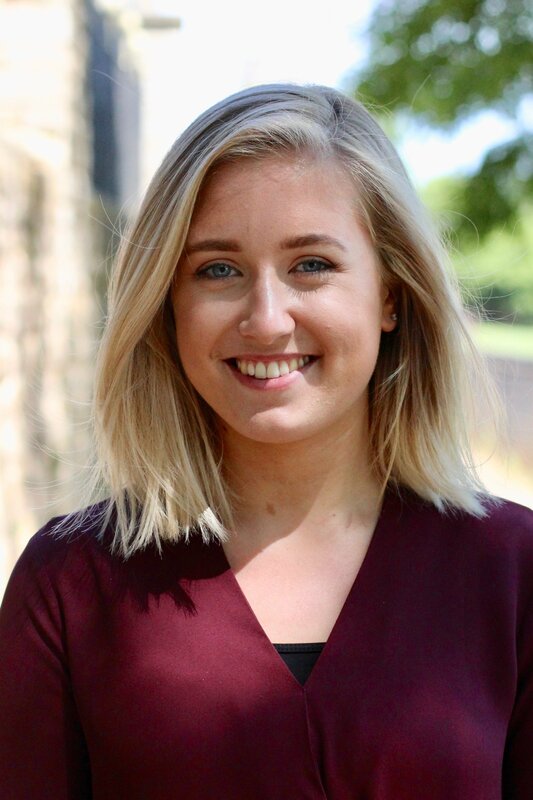 Crisis communications is one area of PR that is becoming increasingly important, and this is being driven in large part by the instant access consumers have to businesses, and vice versa, through their social media. In a previous blog post, we set out some of our key suggestions for taking action when faced with a public relations crisis, and highlighted the importance of a rapid response to events as they unfold. This instant access makes social media all the more important in the midst of a crisis, as it allows you to respond in real-time to address any issues as required. Keeping your followers informed and updated on any corrective steps being taken is a cornerstone of successful crisis comms – and helps you drive the narrative as the story unfolds. Regardless of the sector in which it operates – be it renewables or any other – all businesses stand to benefit from using digital channels to drive their narrative and directly engaging with their core customers. Effectively leveraging social media offers major benefits to brand development, promoting commercial strengths and overcoming negative publicity. 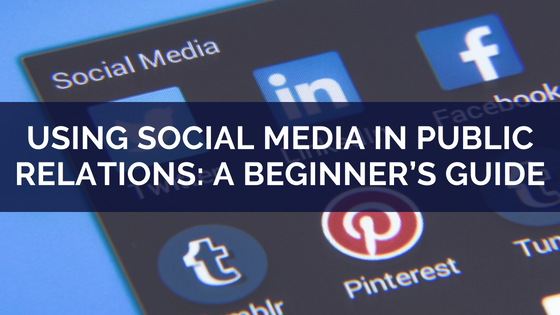 You may well have discovered this blog post through your own or your business’s online channels, but, if not, then it should provide a handy starting point to help build that all-important social media profile.